People often ask me, “Isn’t there any other way to get rid of these drywood termites?” And my answer is, “If I had a better way, I’d already be living like Bill Gates”. Drywood Termite Fumigations are all encompassing. 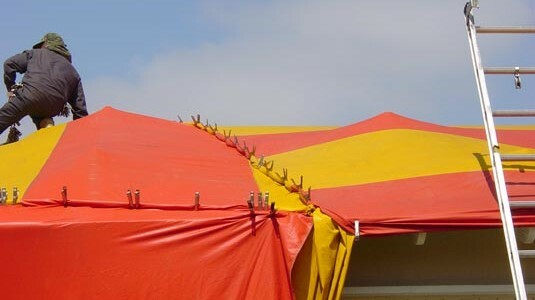 All of the drywood termite infestations that we know of and all of the infestations that are hidden away where we can’t see them will be eliminated if they are under the tent. All of our drywood termite fumigations come with a Two Year Money Back Guarantee! 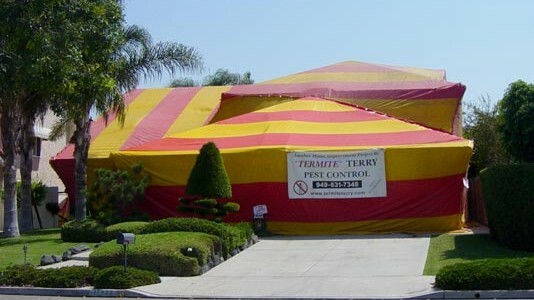 Does your home really need a fumigation? 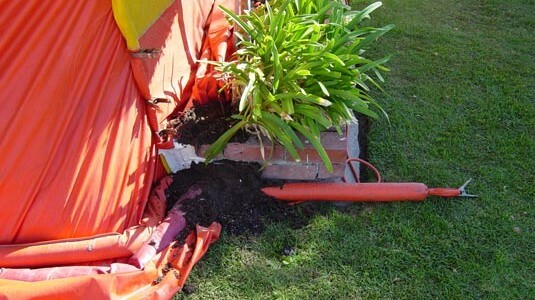 The first thing you need to do is to have a thorough termite inspection performed on your home. 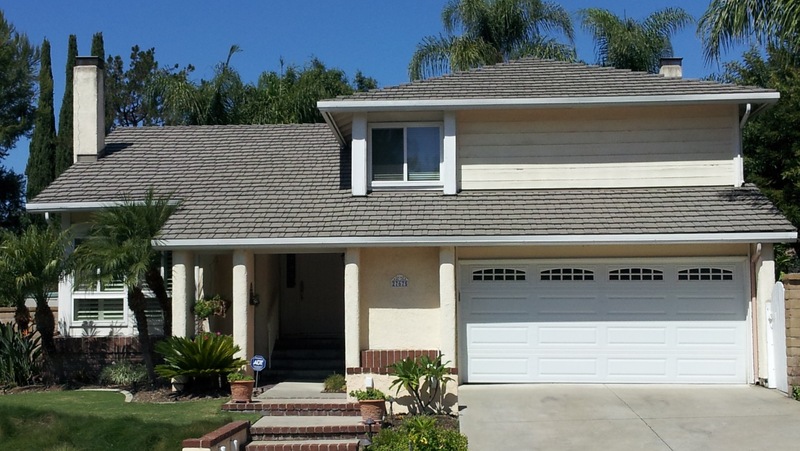 Click here to schedule your inspection or call me at 949-631-7348. 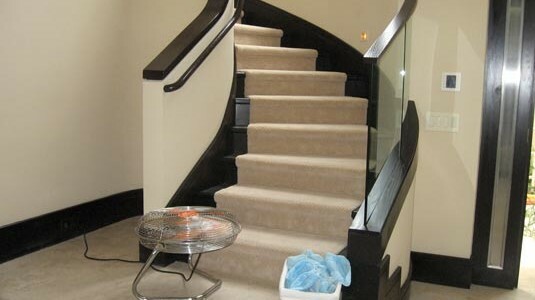 Your home will be carefully inspected, areas of infestation marked with chalk (where accessible) so that you’ll know exactly where the problems are, you’ll receive a detailed report and a written estimate. Then, you can decide what’s best for you. 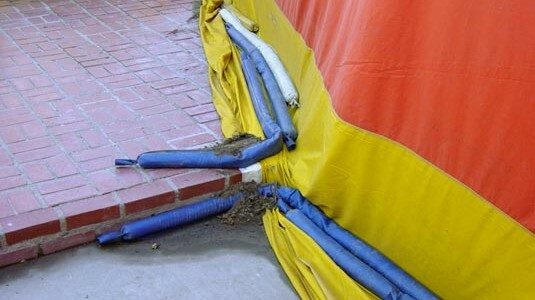 Secrets of Termite Treatments . . . REVEALED! Recently, I did a home where I carefully measured the outside and came up figure of how large the home was. But, I noticed that the home had a raised foundation, so before I did my final calculations, I knew that I had better go under the house and check it out. The area under this home was dug out deep below the prevailing exterior grade and it had a large basement. This one story home was almost like a two story home with the first story placed underground! This added a lot of cubic volume to my original figure and since our estimates are based on cubic volume, our price was now going to be a lot higher. The owner saw my price and decided to get a second estimate. Now, I wasn’t there to see the other guy do his estimate, but I really don’t believe he looked under the house. 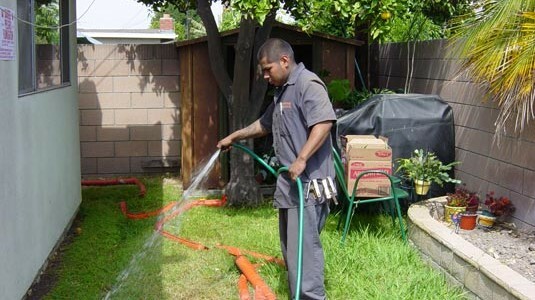 His estimate was so much lower than mine – IT WOULD NOT HAVE EVEN COVERED THE COST OF THE JOB! 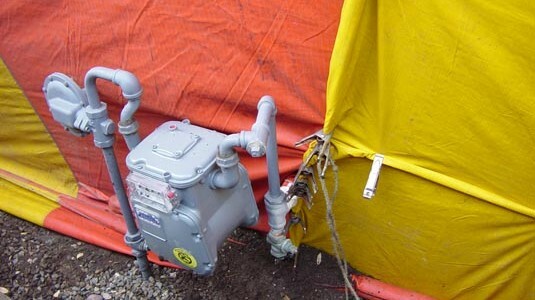 (To fumigate that job the right way and use the amount of gas needed to get rid of all the termites, the estimator would have to pay the subcontractor money out of his own pocket to make up the difference). The owner hired the lower priced guy. 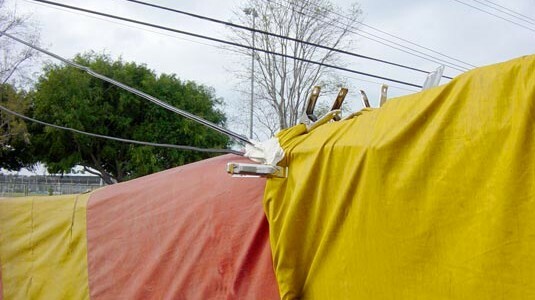 The subcontractor that performed the fumigation probably didn’t go under the house, either. If he had, he would have called the estimator and told him that they couldn’t do the job for that low price. That’s why I believe the owner got a “half-job”. So, the termites may have been annoyed and they maybe even came down with a headache for a day, but I’ll bet you that those termites are back eating his house away – 24 hours a day! To calculate the cubic volume of a home, we multiply the length of the house times the width of the house times the average height of the house. So, if your home is 60ft long, 30ft deep and has an average height of 11 ft, your home would be a total of 19,800 cubic feet. NOTE: You can’t base your figures on your home’s square footage of living area. Our measurements must also include eave overhangs, attached patio covers, attached garages, etc. 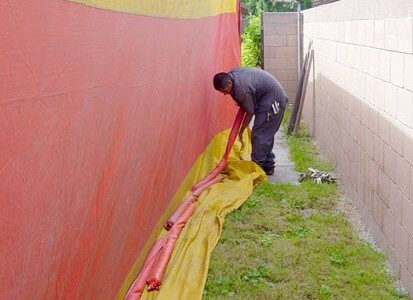 When I do my fumigation estimates, I want to make sure you know how large your home is so that you’ll know what you’re getting for your hard earned dollar! In fact, if you want to watch me while I measure your home, that’s even better! If you still want to get another bid, that’s O.K.! All I ask is that you not tell the other company how large we measured your home to be. Let them give you their own numbers and then you can really compare prices. 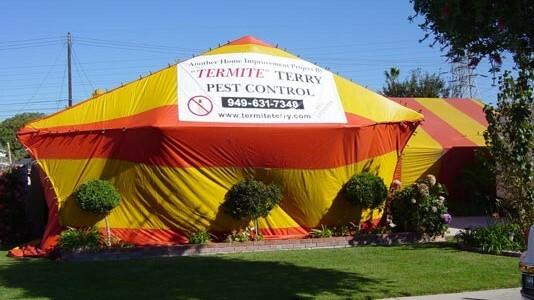 To learn more about the Termite Fumigation Service offered by Termite Terry please feel free to call us at 949-631-7348 in order to set up an appointment or use our online Order Form and we’ll get back to you as soon as possible. 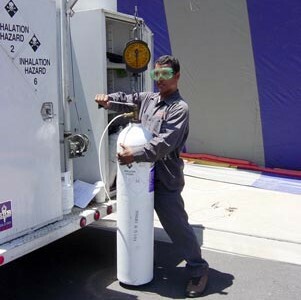 Don’t Know if You Need Fumigation? Here’s Another Rave Review From A Homeowner . 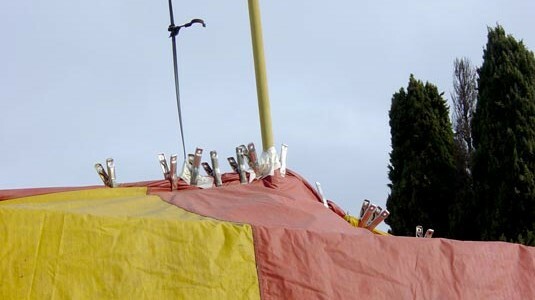 . . And, More Proof That If You Are Going To Have Your Home Fumigated, You Had Better Make Sure That They Use Enough Gas! A New Rave Review From One Of Our Satisfied Customers!